Here's my summary of identities introduced during 2018. It includes about 100 noteworthy and/or interesting projects compiled from a list of more than 600 entries collected over the past year. The November logo round-up comes a little bit rushed with many of the "before" images missing, hopefully that's not too much of an issue to you. It delivers some relatively big news, like the refreshed Bank of America logo and various others. The year-end round-up is being prepared at the moment, to be published shortly after Christmas Day. Änglamark is one of the private brands from the Swedish supermarket chain Coop, offering a line of certified organic and sustainable products. The brand has been around since 1991 and earlier this month (on October 10) it unveiled a new package design. Stockholm-based brand and marketing agency Priority is the design and development partner for Änglamark and they worked on the new concept. Their work build on the positioning "carefully selected, wisely excluded" by which Änglamark serves as a guide to good and sustainable products. Some really big and noticeable logo changes launched this past September. 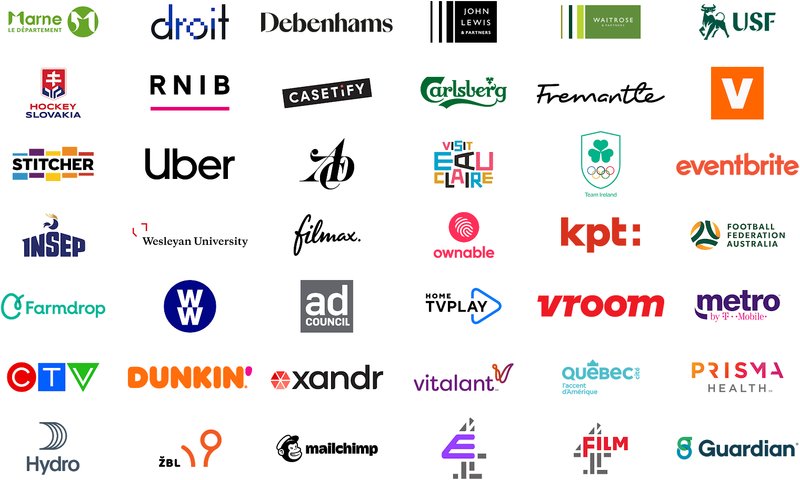 The friendlier Uber and the shortened Dunkin' probably stand out to general American readers, but there are several others that made their mark, including supermarket chain John Lewis, beer brand Carlsberg, production company Fremantle, the Ad Council and Channel 4's thematic channels. The Dole Food Company is known for both food preserves and fresh greens, but has recently started emphasising the latter. Last week, it announced a refreshed logo to appear more natural. The familiar Dole logo was designed by Landor Associates and launched in 1985. This redesign doesn't really touch the main logo, rather they just put it in a leafy holding shape. As such, this isn't a major redesign, but Dole still apparently felt the new highlight it. Stop & Shop is supermarket chain with 400 locations in northeastern United States. Earlier in October, it opened refurbished supermarket in Hartford, Connecticut, featuring a revived and redesigned version of the chain's traditional logo. Stop & Shop used a clever and distinctive "stoplight" logo for many decades until 2008 when it was replaced by a general logo that could also be used by sister chain Giant. Evidently, the stoplight logo was still widely recognised ten years after being replaced. Danish life insurer Nordea Liv & Pension used to be part of the bank Nordea, but became a mutual insurer earlier this year when Foreningen Norliv became majority owner. On October 1, the insurer changed its name to Velliv to highlight its new independent status. The new brand identity was developed by Kontrapunkt. 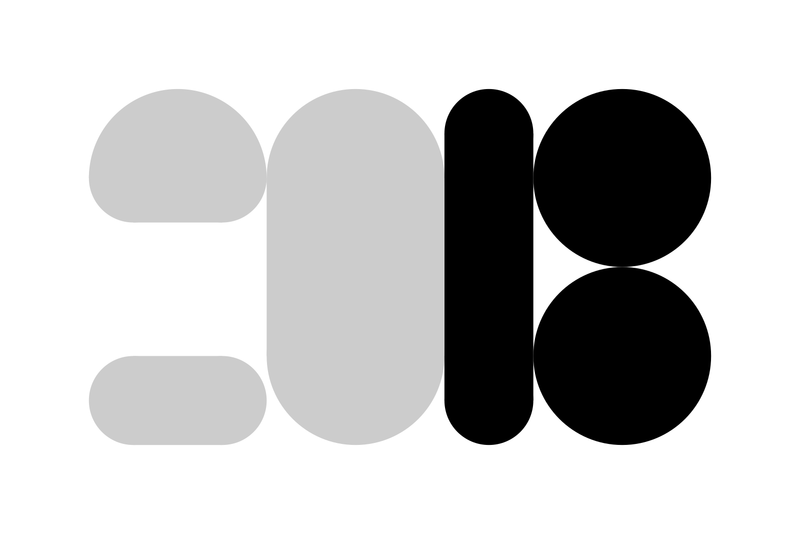 A core part of the new identity is a custom typeface where individual letters can be replaced by distinctive "curly" variations, similar to the one used in the logo. There also a set of still and animations icons based on continuous lines, presumably representing the longevity of Velliv's commitments in pension and life insurance. Channel 4, one of the major broadcasters in the United Kingdom, also operates a portfolio of thematic channels. These are called E4, More4, Film4, 4Music and 4Seven. 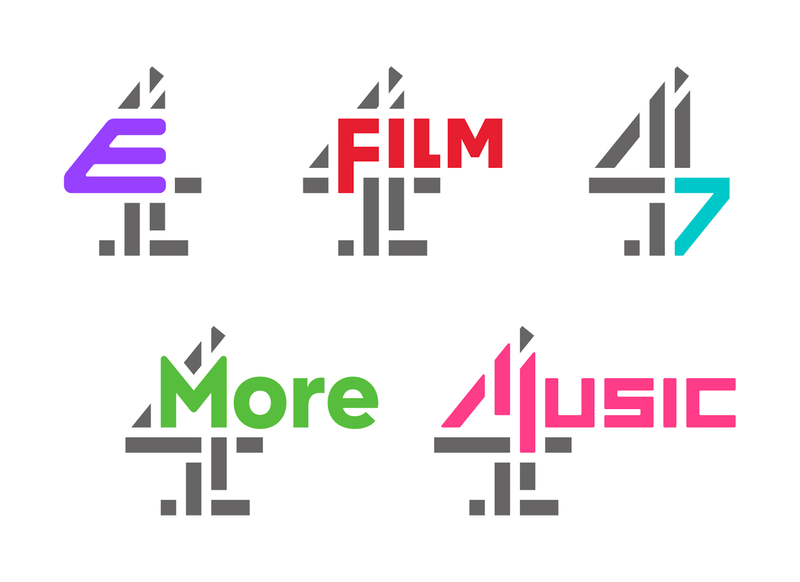 These have typically been represented by differing '4' logos that embody the remit of each channel, for example a chunky purple 4 for the youth channel and a colourful 4 for the lifestyle-oriented More4. 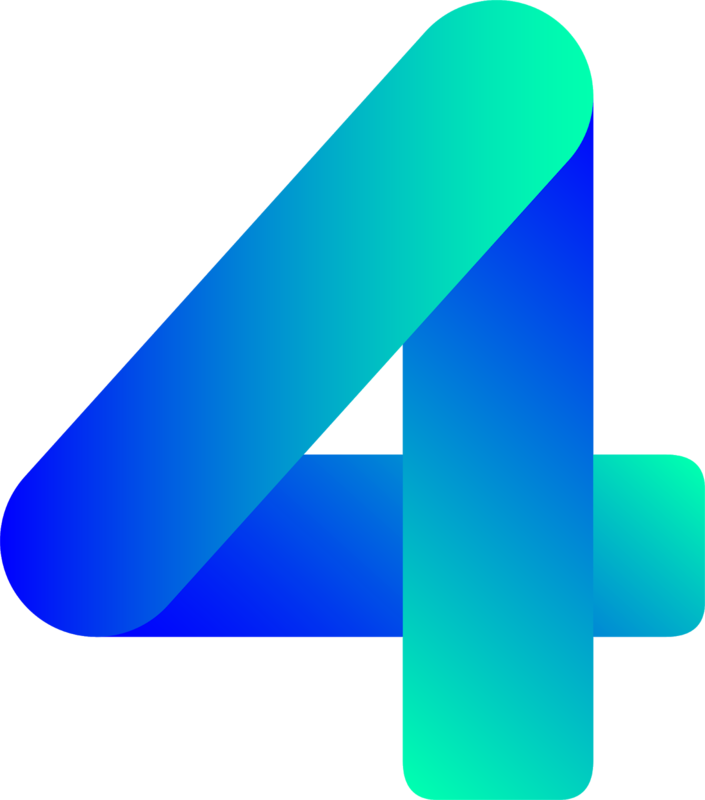 On September 27, they all launched new logos based on the main Channel 4 logo. The work was headed by the in-house agency 4Creative, with help from ManvsMachine. The new logos build on the refreshed lighter version of the main Channel 4 logos that was introduced in 2015. The names of the thematic channels are merged with the main Channel 4 logo in imaginative ways, with typefaces that reflect the content for the different channels. 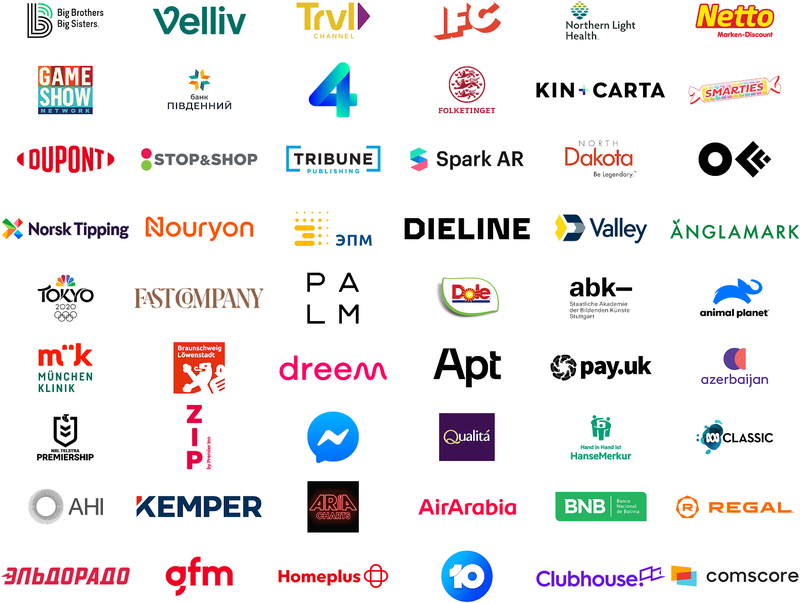 This aims to bring a sense of cohesion to the Channel 4 family as the rise of streaming services has meant that individual channels have become less important. For most channels, this was simply a matter of rebadging existing idents and graphics to include the new logos. However, the youth channel E4 gets a set of 19 new idents. They were produced by various creative studios such as Studio AKA, Blinkink and Time Based Arts. Continuing yesterday's article about Cape Rock's work for SBS Belgium we move on the company's second channel, Vijf ("Five"). Here, the changes were more substantial with a new logo a more radical visual shift. Vijf is a female-leaning channel heavy on reality programming, which it communicates as offering "guilty pleasures". Cape Rock's redesigned Vijf doesn't shy away from fun and naughtiness with a heavy use of hot pink. SBS Belgium is one of the two major commercial broadcasters in Flanders, consisting of three channels, Vier, Vijf and Zes (Four, Five and Six). Back in August, both Vier and Vijf launched new looks, created by Cape Rock. Both Vier and Vijf rebranded back in 2012, launching unconventional looks with "light" logos. In 2017, Vier discarded that look for a more conventional four in a circle. Cape Rock's redesign keeps the 2017 logo, but cuts it up in pieces in a playful manner. Vier is a general entertainment channel for a broad audience built around strong brands and local productions and the new look aims to give it a clear position through playful energy. Mr Kipling is a UK brand for ready-made cakes, owned by food manufacturer Premier Foods. Leeds-based agency Robot Food recently completed a redesign to give the brand a "confident expression" for international markets. Mr Kipling has been subject to fairly frequent redesigns in the last few years. I put together a retrospective on the Mr Kipling brand back in 2012. Since then, the brand has been redesigned three times, with the last version by Coley Porter Bell launching as recently as February 2018. Robot Food's work appears mainly targeting launches in the US and Australia, where Mr Kipling has an opportunity to be fresh challenger brand. The packages are clean and colourful with the product and ingredients at the centre. Nelonen is Finland's fourth TV channel and the flagship of one of its major audiovisual media groups. It features an entertainment-heavy schedule, summed up by the slogan "Entertainment is good for you". Last week (on October 2) it launched a new logo and graphics package, developed by Dutch group Cape Rock who've redesigned Nelonen's supplemental channels Jim and Liv in the past. The new logo is a bit chunkier and more straight-forward than its predecessor. It comes in four gradiented colour variations. The idents take inspiration from the northern lights, featuring joyous situations where the glowing Nelonen logo appears. Established in 1849, Folketinget is Denmark's parliament. This week, on October 2, it launched a refreshed visual identity ahead of the new legislative period. 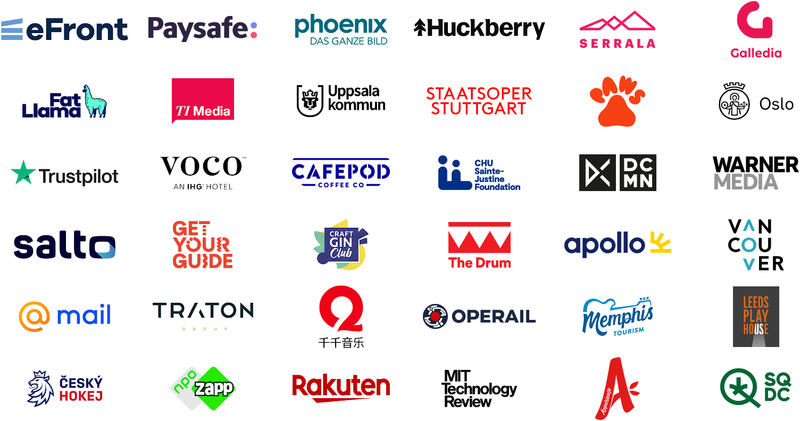 Kontrapunkt under the leadership of Mikkel Lemvig was behind the new look which is designed to work better on digital platforms, while also maintaining a sense of history. 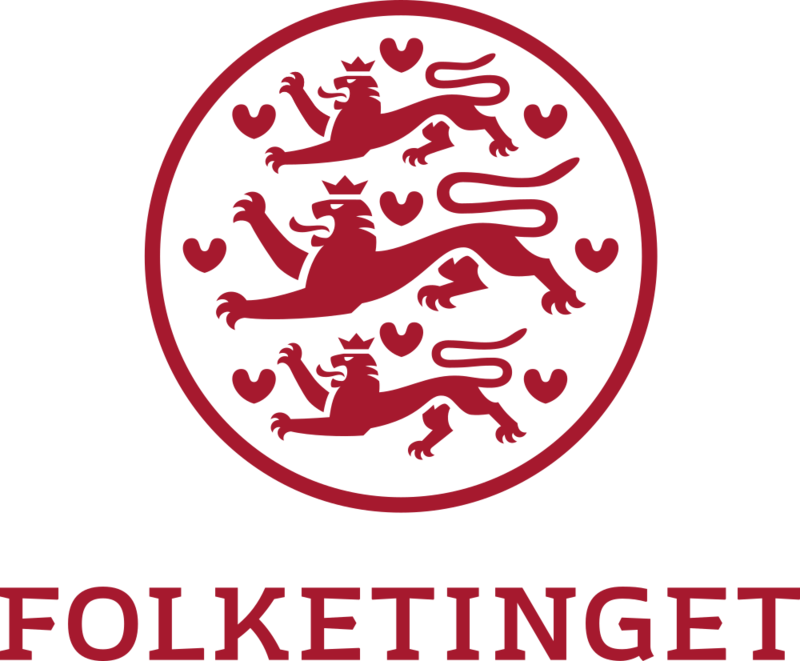 Folketinget's symbol has traditionally been a red seal based of the national coat of arms. In Kontrapunkt's new version it has been freed of its outer ring with its lettering, clarifying the heraldic lions and hearts. Instead, a new wordmark is used. It is set in a custom typeface inspired by the kingdom's 1915 constitution. There's also a set of patterns inspired by wall decorations at Christiansborg, the parliamentary building. Record Source International was an American music record distributor that provided records and singles for radio stations. The records were chosen from all major labels in cooperation with Billboard magazine. The company was launched in 1960 as Record Source, Inc., as a division of a company called Scott-Textor Productions under the leadership of former Columbia Records executive Hal B. Cook. "International" was added to the name two years later. A quirky logo designed by S. Neil Fujita could be seen in ads as early as June 1960. While Fujita did design some trademarks, he is best known for his covers for Columbia Records, including Dave Brubeck's Take Five. It is conceivable that Fujita had worked for Cook while at Columbia. RSI was primarily in the distribution business and didn't generally publish their own records. The only known record published by RSI appears to be "Pronouncing the Classics" from 1962, which, as the name suggests, contained pronunciation of 1200 names of foreign artists and composers as an aid to American disc jockeys. S. Neil Fujita also designed the cover of that record. Win Win Gothenburg Sustainability Award is an award given to "outstanding achievements towards a sustainable future" by the City of Gothenburg, Sweden. It was known as "the Gothernburg Award" until May this year when it introduced a new name and visual identity by local agency Happy F&B. The name "Win Win" was chosen for being memorable and expressed a positive vision for sustainable development - that of creating win-win situations. The logo is an expression of "give and take" and is therefore constantly moving as a sort of visualisation of trade-offs. Superior Vision and Davis Vision are two American companies providing "managed vision benefits", managing optician products for people who get their healthcare via their employer. Last year, they combined their operations and in May they launched a name and visual identity for the combined company, Versant Health, created by Lippincott. The name Versant reflects "experience and conversational approach", with "Health" added to firmly base the company in the health market and not a separate eyewear market. The symbol consists of radiating spokes that make up an abstract iris. 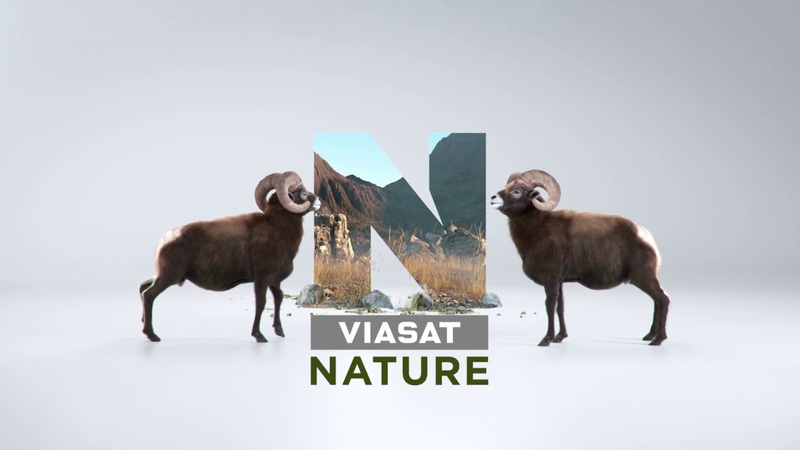 Viasat Nature is a nature TV channel available in several territories, mostly in Europe. Last summer, the channel launched a set of six new channel idents, commissioned from London-based motion studio WeAreSeventeen, with sound design by Echoic. The old idents, introduced in 2014, featured fairly basic shots of landscapes. The new ones are more conceptual, turning the N in the logo into a portal that brings animals into the TV screen. The animals and their landscapes are created entirely using realistic computer graphics. Stockholm Exergi is the energy utility for the city of Stockholm, Sweden, owned jointly by the city and energy company Fortum. It was known as Fortum Värme until January this year, when the new name was adopted. It reflects the fact that the city had recently increased its ownership stake in the company, which necessitated a distinction from its former majority owner (Fortum). "Exergy" should convey how the company uses the maximum amount of energy, a term borrowed from thermodynamics. The brand identity was developed by Brand Union Stockholm, which apparently managed to escape the creation of Superunion earlier this year. The symbol is inspired by the pipes through which heat is delivered. It can also be animated to visualise the flowing heat. 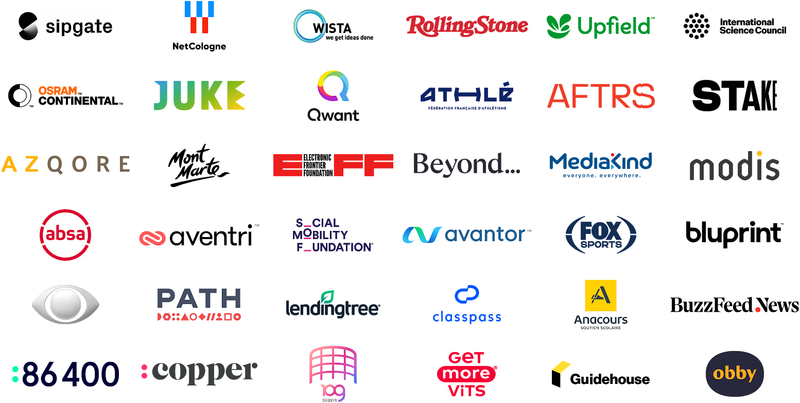 July included a fair bit of notable rebrands, including the redesign of the Rolling Stones masthead, Michael Bierut's modular look for the Electronic Frontier Foundation, PwC spin-off Guidehouse, rebranded French athletics, the world's leading margarine conglomerate and many more. Extrême is Nestlé's brand for ice cream cones, sold in several countries. Earlier (probably the past spring), the brand launched a new look, created by Logic Design. Nestlés wanted to stave off competition from cheaper rivals by positioning Extrême as a premium product. The new packaging is slightly darker with a stately ice cream cone on the packaging. We recently noted that the Danish Ministry of Defence had launched a new identity programme at the beginning of the year. A key component of that programme had clearly been to leverage the recognisability of the existing symbol for Danish Defence, which includes Denmark's army, navy and air defence. It therefore deserves a bit more time in the spotlight. 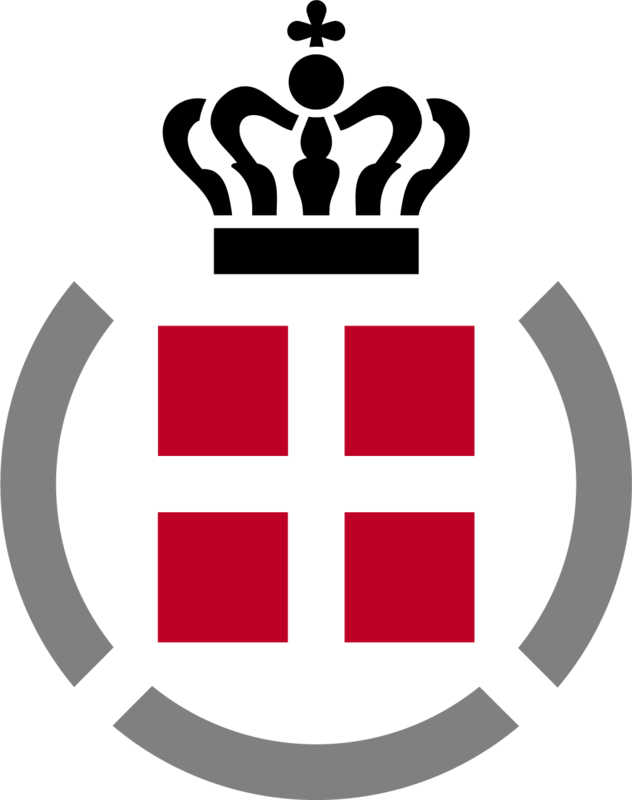 The Danish Defence symbol was designed by Ole Søndergaard, one of Denmark's many influential graphic designers, while at 11Design, a design agency he co-founded in 1985. According to Søndergaard, it was designed in the year 2000 (I haven't been able to confirm this independently). Inspiration came from the coat of arms of 14th century king Valdemar IV as well as Trelleborg and Fyrkat, two circular Viking age fortifications. Ironically, the symbol for the Danish defence is partly based on something they failed to defend, as the Trelleborg is now located in Sweden. The three wedges can also represent the three branches of Denmark's defence. Trikolor is one of Russia's satellite TV platforms, operated by the "National Satellite Company". It was known as Trikolor TV, until yesterday (August 15) wen it rebranded itself with a neat new logo. The old logo was a more literal illustration of a satellite, which was relevant went the company went into business in 2005 as a satellite company. In recent years, the company has expanded to other platforms. "TV" was therefore dropped from the name and the satellite was changed into a more abstract symbol that retains familiarity in shape and colour, but is more "modern and expressive". The changes reflect the company's tagline "Your Entertainment Environment Operator". SBS6 is one of the leading commercial TV channels in the Netherlands and the flagship channel of Talpa TV (formerly known as SBS). On August 1, the channel launched a refreshed logo. The previous logo featured the number six in a circle, as does the new one in a slightly different juxtaposition. It is credited to Bob van der Put, who was reportedly also one of the "spiritual fathers" of the old logo. Other than the altered logo, the big change for SBS6 is that the channel's colour switches from red to blue. This is all said to be part of a "careful repositioning" of SBS6. PizzaUp is a new pizza restaurant chain, launched in October last year in Korea. It is owned by food conglomerate SPC Group which operates numerous fast food chains, including the Korean branches of Shake Shack, Baskin Robbins and Dunkin' Donuts. The visual identity was developed by Angus Hyland of Pentagram in London. They recently published the case study for their work with this new chain. Pentagram came up with the name, which is both a call to action and an abbreviation for "unique pizza". The simple combination of lines and grids in the logo is repeated in all aspects of the identity programme, including icons and packaging. Ferrovie dello Stato Italiane, Italy's railway operator, launched a new travel app back in June. It is called Nugo, a name and brand developed by Interbrand Milan. Nugo is not only a travel booking app, it is a way for FS Italiane to "accelerate the group's strategic pathway towards redefining the mobility experience", which means they want more Italians to take the train and leave their cars at home. The big innovation seems to be that you can now book tickets that in addition to trains also include buses, ferries as well as car and bikesharing. The basic concept for the brand is "living mobility". The name is a combination of "new" (nouvo?) and "go". The logo is made up of circles, with extra circles on each side as wheels, representing mobility. One of the largest deals in the history of margarine was revealed in December last year when Unilever announced that they would spin off their "Spreads" business which they had built up since the consumer goods conglomerate was founded in 1930. The "Spreads" business included margarine and other "plant-based nutrition". The sale to investment firm KKR was finished on July 2, when the new company also announced its name, Upfield. It is operating in most of the world and includes over 100 brands, including Becel, Flora, Country Crock, Blue Band, I Can’t Believe It’s Not Butter, Rama and ProActiv. No explanation of the new name or the symbol was provided at launch. The leafy/watery "swoshiness" in the symbol is a bit reminiscent of other contemporary food conglomerate logos (Mondelez, Keurig Dr Pepper, and Unilever itself), so they clearly wanted to be seen as friendly and natural. Lendo is a loan mediation service available in Sweden, Norway and Finland. It was founded in 2007 and is now a part of Norway's Schibsted Media Group. On June 19, the company introduced a refreshed logo as it prepares to enter more European markets. The new branding was developed in-house at Lendo, with help from a consultant specialised in frontend and UX design. The vague diagram from the old logo has been replaced by a dynamic speech bubble that can contain things worth aspiring to have. The design process was guided by "simplicity, modernity and seriosity". Fox Sports in the Netherlands is a sports TV service, controlled by Fox Networks with the Dutch football clubs as minority shareholders, offering full coverage of Dutch football. When it launched in 2013, it used branding and graphics assets designed to work for many sports across international markets. As the channel matured it felt it needed a look that was tailor-made for the football-heavy Dutch version of Fox Sports. In July, it launched a new look created with London-based DixonBaxi. The new Fox Sports is more clearly positioned as the "Home of Dutch Football". The international Fox Sports logo was cleaned up a freed from its bevels and gradients for a flatter look. The tactical theory of "Total Football" is used as inspiration for a square grid that allows text to move on screen in interesting ways. The custom typeface "Sparta" has designed by Ondrej Jób as a monospace font that fits with the square grid. The Danish Ministry of Defence, or Forsvarsministeriet started 2018 by introducing a common visual identity across its activities, including Danish Defence, which includes the army, the navy and the air force. It was designed Kontrapunkt, who've designed plenty of identities for the Danish government over the past two decades. They created a system that allows the individual units to express themselves while also showing them as part of a collective. The new logo for the ministry is simply a newly designed royal crown, with the name set with lettering designed for the ministry. The crown has been designed to stands for "decisiveness, solidity, security and professionalism". It replaces a more cumbersome conceptual logo. Danish Defence keeps its previous symbol, but updates it with the new crown and the custom lettering. The other branches are the Home Guard, the Emergency Management Agency and the Defence Intelligence Service. They have been given new symbols built to suit with the new identity programme, while also retaining some ideas and heritage from the symbols that they replace. The new lettering is designed to be both solid and open. It also follows Danish typographic tradition, which Kontrapunkt takes the role of shepherding. The multinational PR firm Bell Pottinger went under scandalously last year. This meant that many people not involved in the scandal lost their jobs, including those employed by Bell Pottinger's design department, whose projects have been featured here before. Former Bell Pottinger employees Kerrie Palmer, Neil Stockwell and Rob Boles were hired by another agency, WPP-owned Buchanan, as their new design department. They set about giving their new employer a new website and a new visual identity. This enabled them to both familiarise themselves with their new colleagues and apply their skills to help the company. The French Athletics Federation (Fédération française d'athlétisme, or FFA) is the governing body for French athletics. On July 4, it launched a new identity with a new name. The body will now be marketed as "Athlé" with a fresh athletic brand identity designed by Dragon Rouge. According to Dragon Rouge, the new branding "outlines the history, the power and the universality of athletics". At its centre is a dynamic logo with a distinctive H in the middle, that can resemble hurdles, bars or other sports equipment. 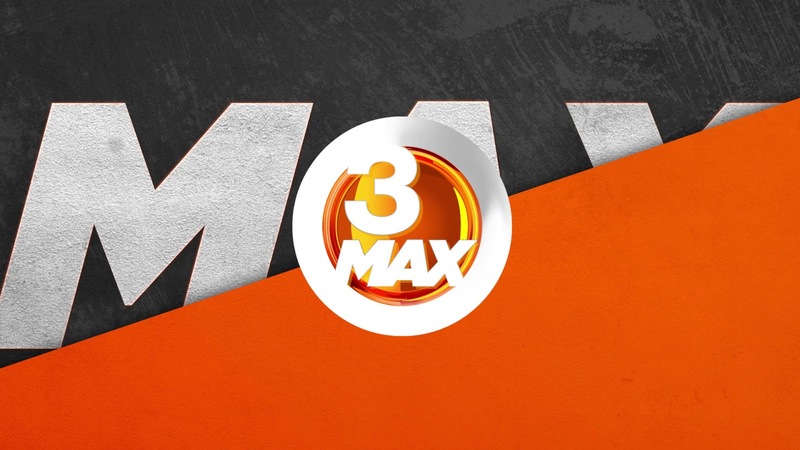 TV3 Max is a new Danish TV channel launched last autumn (on October 31, 2017) as an off-shoot from the Danish commercial channel TV3. It replaced the broadcaster's second sports channel, TV3 Sport 2, and sits along side the main TV3 channel, TV3 Plus, TV3 Puls and TV3 Sport. The graphics package was produced in-house at MTG Creative in London (now renamed NENT Creative Studio London). Even though it replaced a sports channel, the new channel is still quite sports heavy with a lot of football. It also features plenty of comedy. Overall, the content skews male which is reflected by action-oriented graphics in a rugged grey-orange colour scheme. Gas Natural Fenosa is a major Spanish energy company with activities in Europe and Latin America. On June 27, it changed its name to the more ownable and less cumbersome Naturgy. According to a press release, the new name "represents the energy of our nature, as well as a digital and global company that works to improve the lives of people through simple and natural technology". Visually, the butterfly that used to represent Gas Natural has been streamlined and simplified as a less "natural" abstract shape. Kellogg's has a new line of vegan and organic cereals that has been rolled out in Europe under the brand "W. K. Kellogg" (no genitive). It stands out for the fact that the packaging dispenses of the traditional Kellogg's branding with a more illustrated look and a completely redesigned version of the traditional Kellogg signature. The packaging is adapted from a very similar design made for Kellogg's Australian cereal brand Be Natural in 2016. That packaging was done by Sydney-based Loop Brands, who are also behind the new W. K. Kellogg signature and its European adaptation. Loop Brands worked with typographer Keith Morris to create a new signature inspired by Kellogg's heritage. The new brown colour departs from the previous red, establishing W. K. Kellogg as a separate "signature" line. Dutch design studio Cape Rock has delivered redesigns for magazine programs from German international broadcaster Deutsche Welle. The first is Made, "the business magazine", which launched a new look in mid-May. 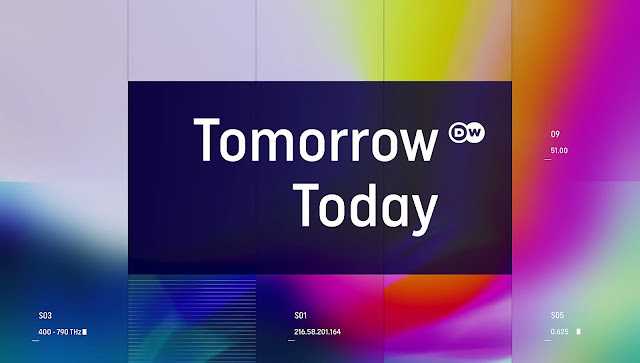 A few weeks later, on June 2, the science magazine "Tomorrow Today" also introduced a new graphics package. Even though the redesigns were made by the same company for the same broadcaster, there's nothing to intentionally unite them visually. They do however share the fact that they need to work in the many languages that DW is available in. Tomorrow Today's graphics are inspired by light, "reflecting a modern conception of science: a force that enables us to develop and renew ourselves, creating a world that is more refined and colorful". June saw the once towering TimeWarner retreating into the more anonymous Warner Media, now being a subsidiary of telephone company AT&T. 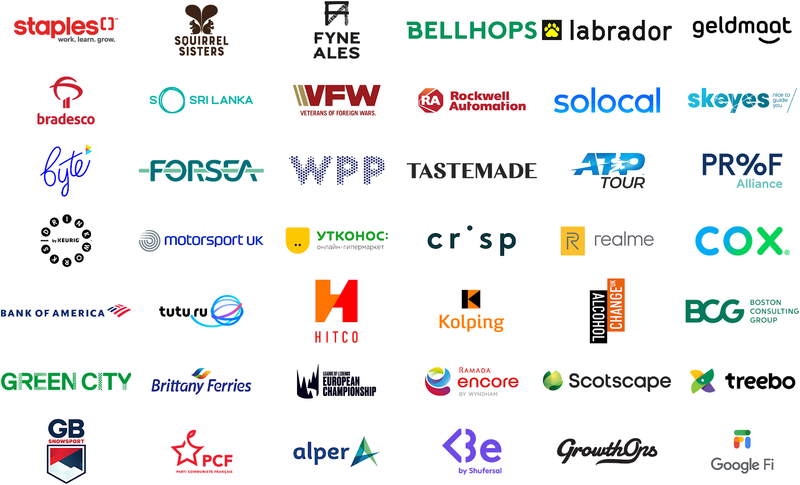 That was probably the most notable of the 40+ rebrands presented below. Apollo is one of the leading travel operators in the Nordic countries. It originally offered trips to Greece, which gave it its name, but nowadays operates tours to many destinations in Europe and Asia. On June 19, it launched a refreshed logo as part of a new identity programme by Essen International. The refreshed identity is said to reflect the company's expansion from mainly offering trips to sunny beaches to also including adventure, city discovery and cruises. The existing logo was well-known in the Nordics and the new one is a careful update, clarifying the symbol and updating the colours. Rakuten is Japan's leading e-commerce company, but has developed into a diversified Internet giant with multiple businesses around the world. If you are on Honshu, it is effectively the equivalent of Amazon.com. On July 2, the company launched a company-wide rebrand with a new logo. Rakuten adopted its distinctive symbol featuring an R in circle in 2005, later adopting a version in the Roman alphabet. The new one features an underline, derived from the Japanese letter ichi, which means "one". 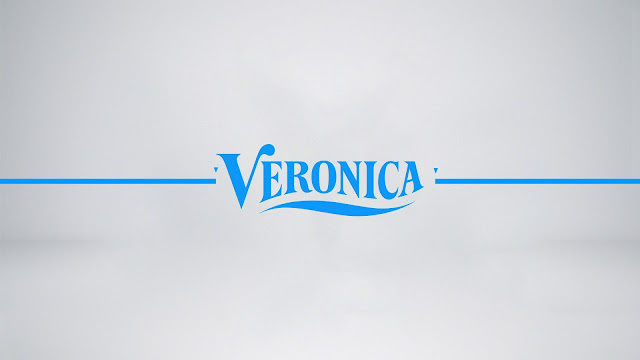 The wordmark from the old logo has been reused and made somewhat taller. The "circle R" takes a back seat, but is still used in certain situations when an icon is needed. 86 400 is a new mobile banking company, recently launched in Australia. The idea is to offer the full capacity of regular bank in a mobile phone round-the-clock. Its launch identity was developed by Hulsbosch. The name isn't a phone number; it comes from the number of seconds in a day. The core of the brand is to "value every second", expressed by blinking dots at the beginning of the logo. MTV OMG is a new music channel from MTV in the UK, launched on March 1 this year to replace another channel called Viva. It offers "the biggest party tunes, most nostalgic throwbacks, cheesiest guilty pleasures, and the hottest celebrities". MTV's music channels typically have a heavily templated look with a common logo design. Unusually, this new channel has been allowed a bit more freedom with a differing logo design. The idents are produced by WeAreSeventeen and feature themed objects in a distinctive pink-yellow colour scheme.